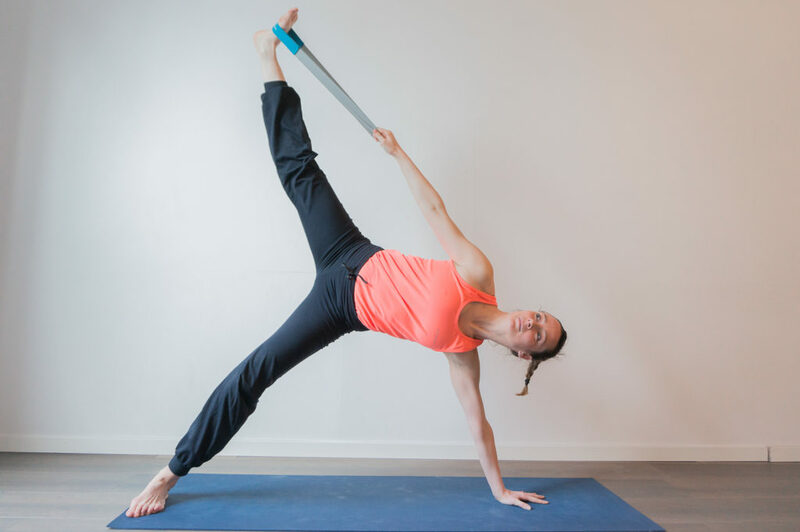 You can use our yoga straps to help extend your reach in certain poses. Model using our yoga strap in medium size. Model using our yoga strap in small size. Model using our yoga strap in medium size; wrap the cotton handle around your feet and grab the two elastic ends with your fingers.